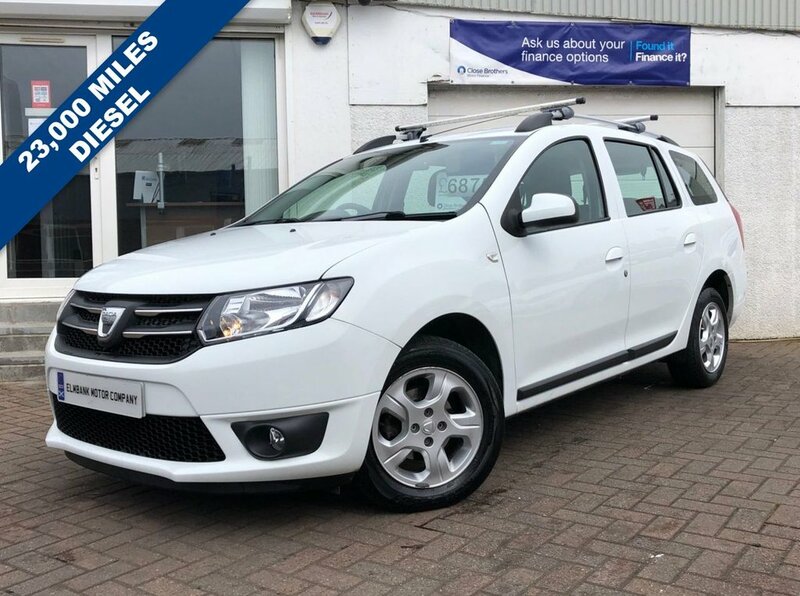 2014 14 DACIA LOGAN MCV 1.5 DCI LAUREATE. A VERY WELL PRESENTED CAR ON OFFER, ONLY 23,000 MILES FROM NEW AND 2 FORMER KEEPERS. ON BOARD SPECIFICATION INCLUDES ALLOY WHEELS, AIR CONDITIONING, CRUISE CONTROL, ELECTRIC WINDOWS AND USB. SUPPLIED WITH 12 MONTHS MOT. WE WELCOME ANY AA OR RAC INSPECTION AND CAN OFFER BESPOKE FINANCE PACKAGES. TO ARRANGE A VIEWING OR TEST DRIVE PLEASE CALL ELMBANK MOTOR COMPANY AYR ON 01292 292991.